Tune in Friday, January 18 at 9:00 pm ET/PT to watch the broadcast premiere of the concert special “The Naked and Famous” on AT&T* AUDIENCE Network via DIRECTV Ch 239. The show will also be available streaming on-demand through DIRECTV NOW and WatchTV. Watch as The Naked And Famous perform a stunning, stripped-down version of their worldwide, platinum-selling hit single “Young Blood,” HERE. View the behind-scenes interview with The Naked and Famous HERE and watch the trailer for the concert HERE. Fronted by Alisa Xayalith and Thom Powers, The Naked and Famous lit a fire under an online fan base, with a video subculture built through YouTube and on to festival appearances around the world. The group has gone on to release two more critically acclaimed studio albums including Simple Forms (2016). 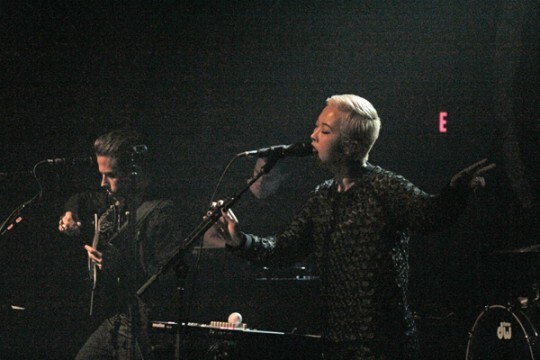 On their return to their Los Angeles home from touring for Simple Forms, Xayalith and Powers set about recording new versions of the group’s classic songs for their latest project entitled A Still Heart, a collection of acoustic interpretations of hits and favorite tracks recorded over their career. 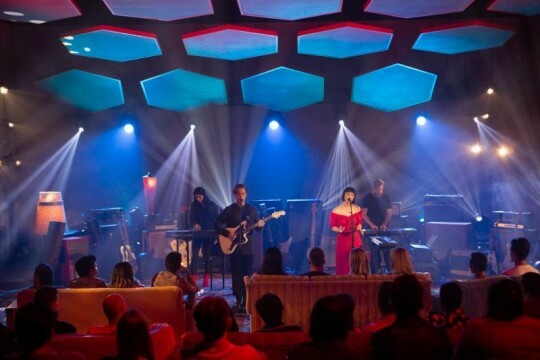 The Naked and Famous spent 2018 wowing crowds across America and Europe with a series of sold-out and stripped-down live performances in support of A Still Heart. These performances and recordings gave fans a chance to feel the heart of TNAF’s songwriting and performance prowessas they reimagine the heavy electronic rock production that has made them a concert and festival favorite around the world.